We have all done this I think. 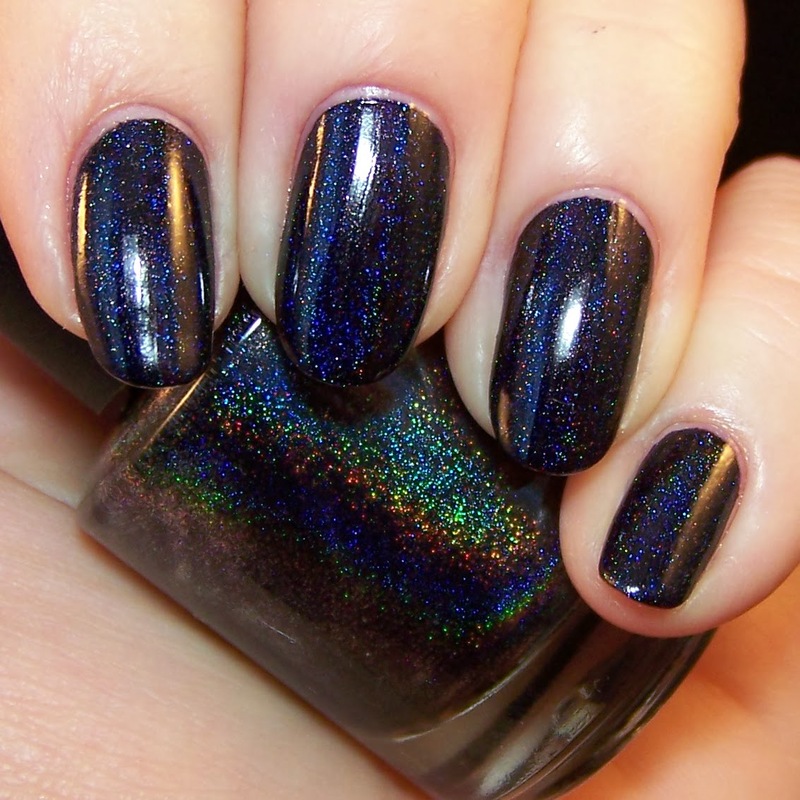 The first time you see a swatch you say "Wow, fantastic. Need this!!". Then you look at the swatch again and say, "Naahh, maybe it is not that fantastic...". 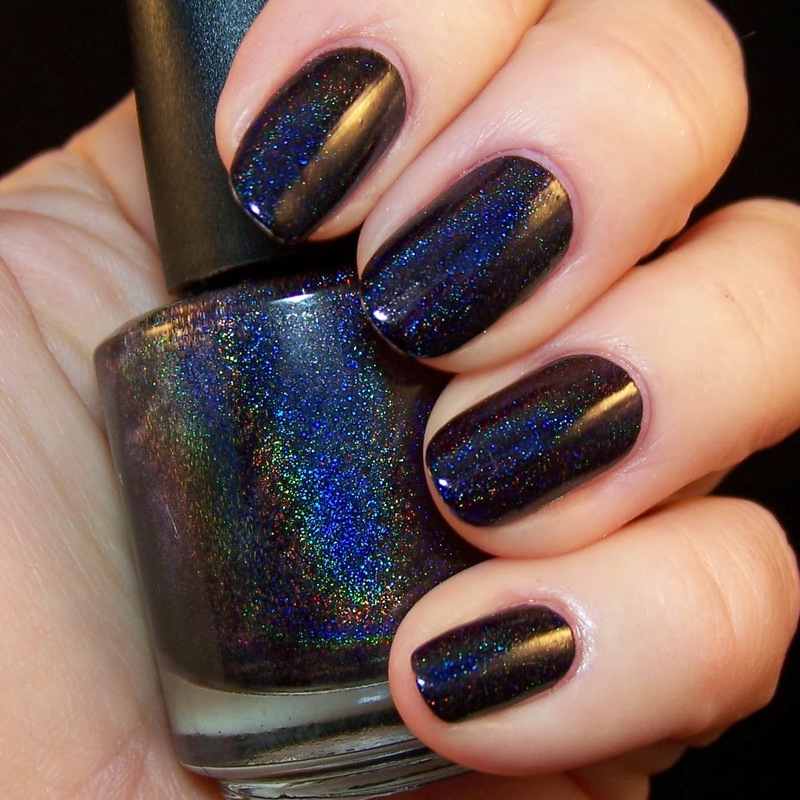 I was like this with Lilypad Lacquer Wild Orchid. 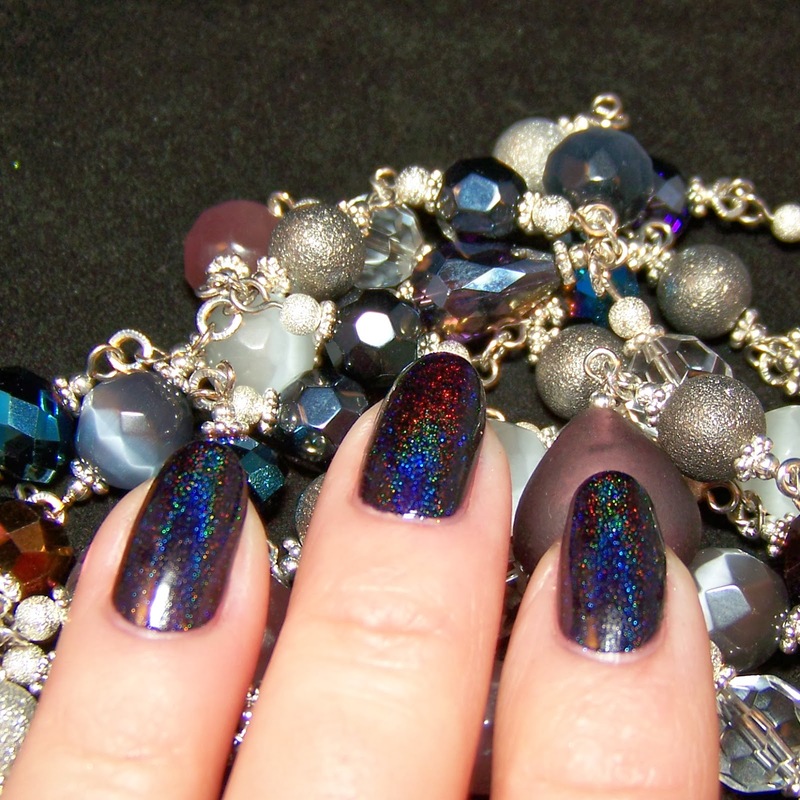 First I was charmed by the deep, dark aubergine nail polish with a not so distinct linear holo effect. 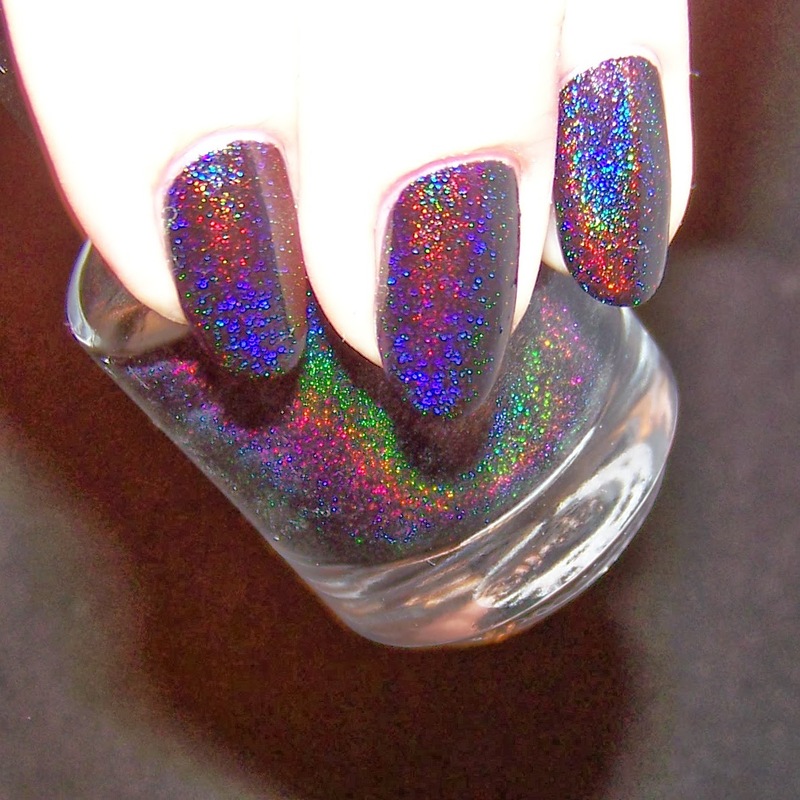 Second time I looked at the same photos I thought that it is just a deep dark aubergine nail polish with a not so distinct linear holo effect. 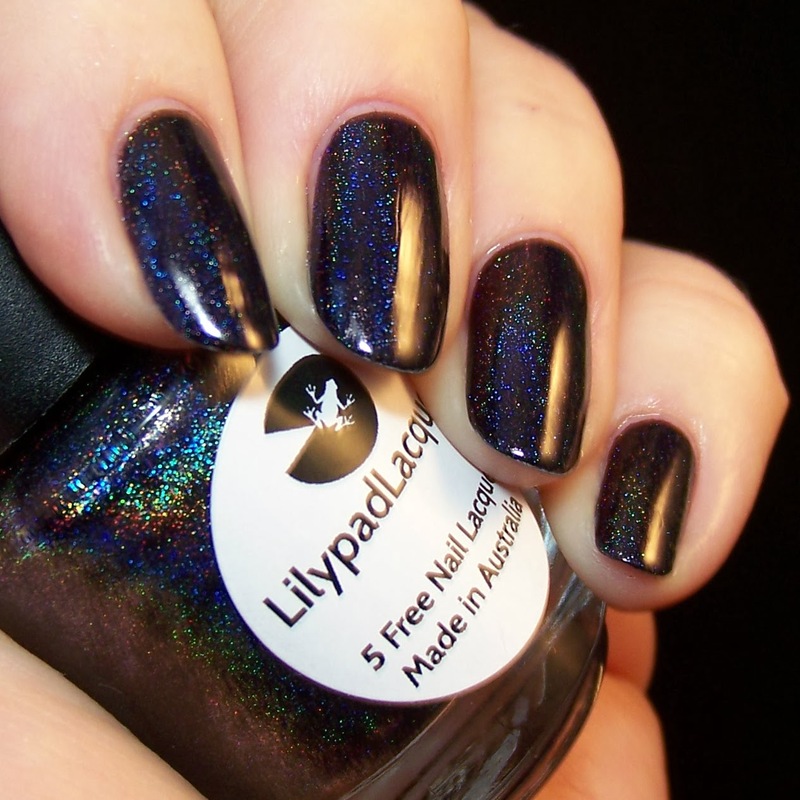 As it happens I still took a chance and ordered it since Lilypad never disappoints me, the nail polishes are always in the range of beautiful-to-absolutely marvellous. 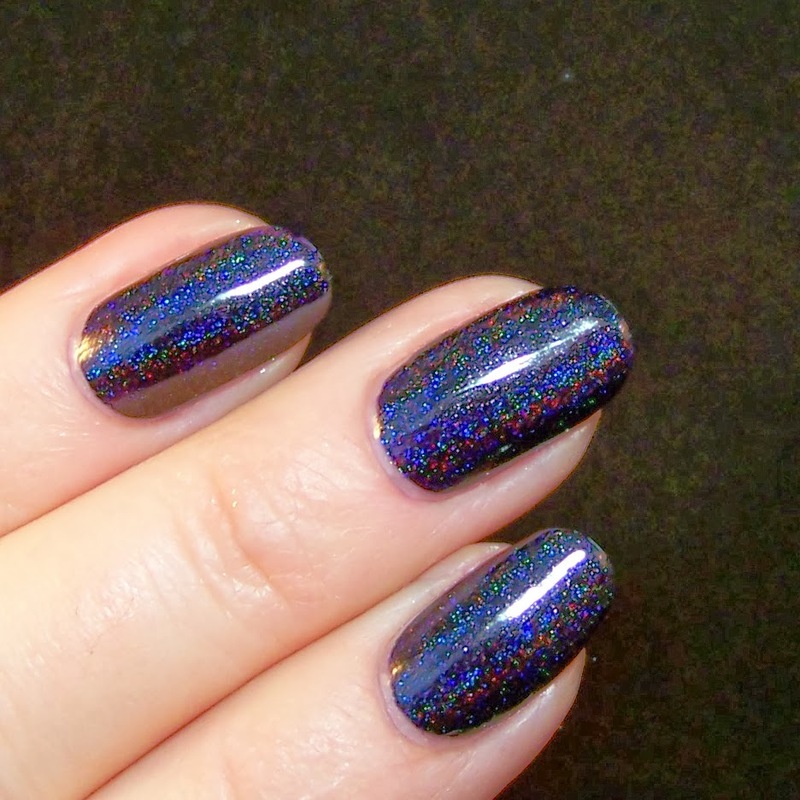 I guess that you will think "This is just a deep dark aubergine nail polish with a not so distinct holo effect" when you see my photos. After I put this on yesterday I thought "Wow, fantastic, marvellous, beautiful!!" 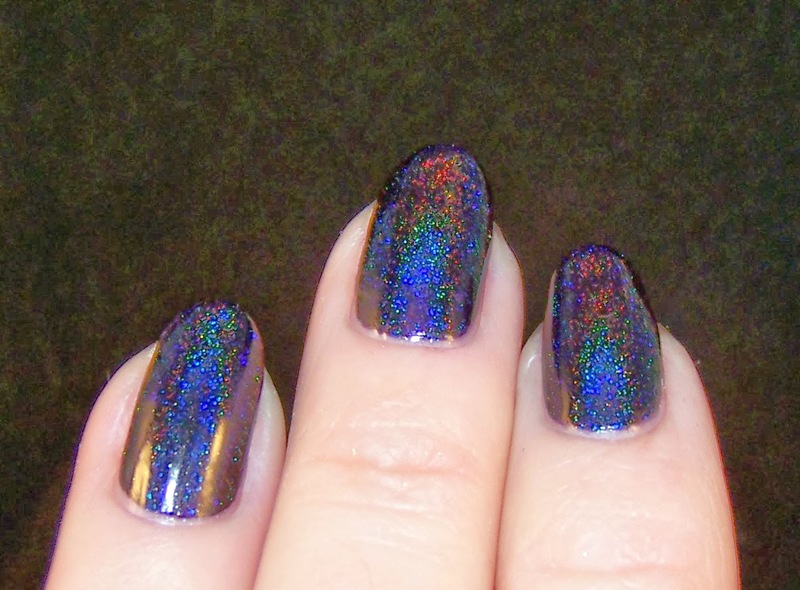 It IS a not so distinct linear holo effect. It IS very deep dark aubergine. 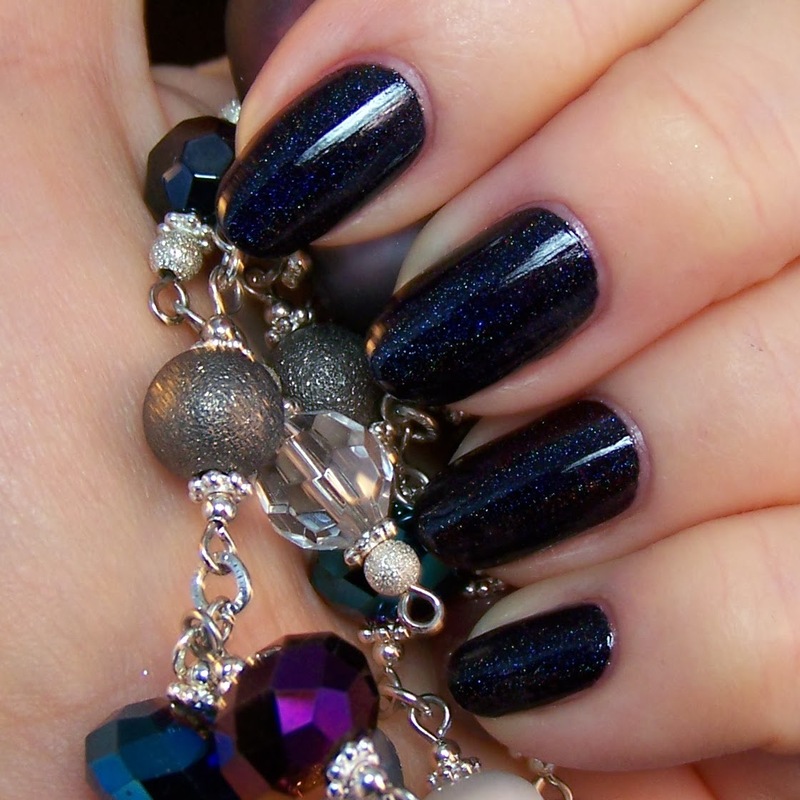 Anyone who will look at my nails will probably see just a dark, maybe even black, nail polish. But I see its inner soul, it is only for me, in the right light. OK, I exaggerate this a bit, but it is not far from the truth. I paint my nails primarily for myself. It is of course nice when other people can see the beauty, but it is not necessary. It is a true one-coater. I think this will also be perfect for stamping. It applies like butter on hot toast. The only downside is that top coat actually hides some of the holo effect, something that almost never happens with Lilypad polishes. 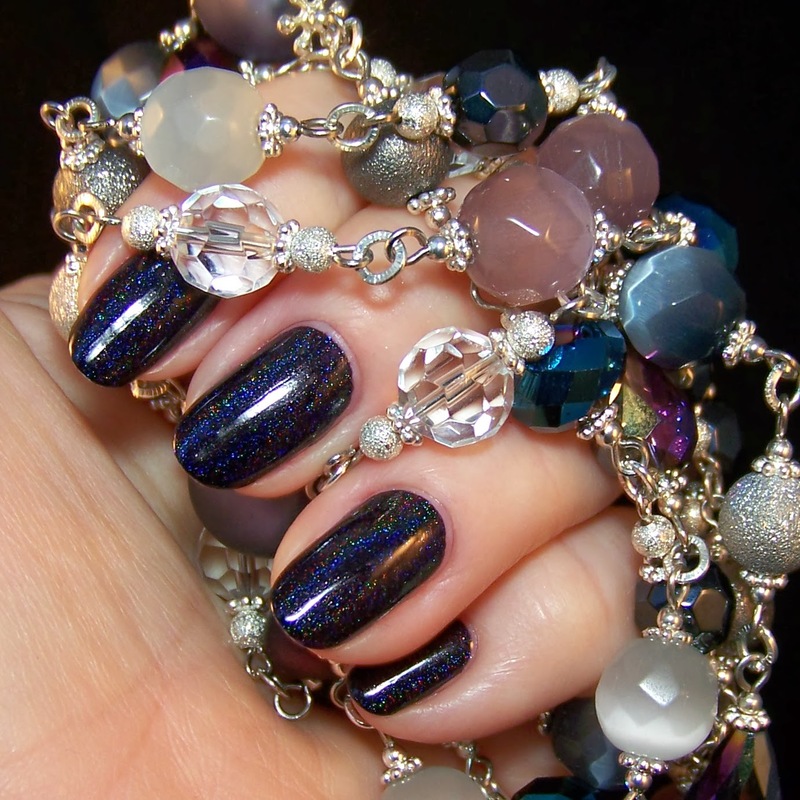 I will probably still use top coat for better durability, but these photos were taken without.